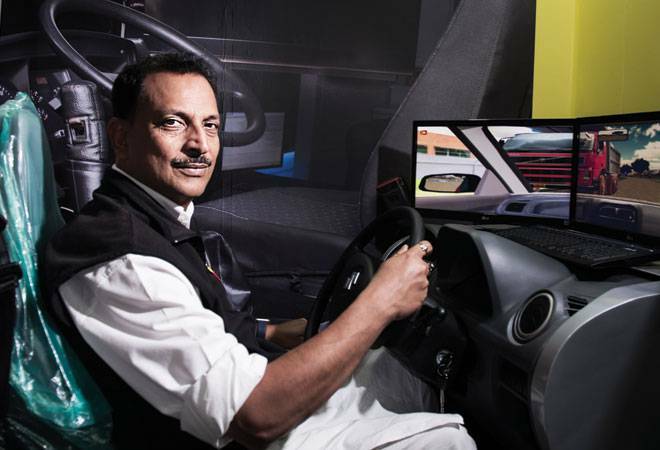 Companies that have understood the ecosystem are partnering with us in our skilling initiative in a big way, Union Minister of State For Skill Development and Entrepreneurship, Rajiv Pratap Rudy, tells Anilesh S. Mahajan. Edited excerpts. The Pradhan Mantri Kaushal Vikas Yojana, or PMKVY, is one of the main focus areas of this government. How do you envisage skill development through this scheme? The PMKVY is our flagship scheme. It enables the youth to undergo outcome-based skill training and become employable. It was launched to create a strong workforce at the entry level by extending help to those who are school dropouts or are not able to pay for their skill training. It is a 100 per cent grant scheme. Those who enrol in this skill certification scheme are able to acquire industry-relevant skills. This will create employment opportunities and promote entrepreneurship. A young girl aspiring to become a beautician can easily enrol in a course, learn the skills and earn her own living. Her life transformation will inspire many others to join in. There are 1,500 job roles under the short-term skilling programme. Individuals with prior learning experience or skills are also assessed and certified under the Recognition of Prior Learning programme under the scheme. For training partners, this is a for-profit model. We are also looking at partnering with states. In the PMKVY, 25 per cent funds and targets have been allocated to state governments and union territories for building institutional capacity. To date, we have trained 1.98 million youth. The Union cabinet recently approved the scheme for 2016-2020 with a mandate to impart skills to 10 million youth, with an outlay of `12,000 crore. A total of 75 per cent of the funds will be available to the Centre and 25 per cent to the states. Finance Minister Arun Jaitley also announced in his Budget speech a proposal to increase the number of Pradhan Mantri Kaushal Kendras from 60 to over 600 this year. How do you envisage the role of India Inc? The companies are mandated to spend at least 2 per cent profit on corporate social responsibility or CSR; this money can be spent on skill development too. They have to understand that they will be the beneficiaries. Industrial bodies always complain about not having a trained workforce. We understand that this deficit is primarily in entry-level jobs. Several have shown interest in partnerships; many have already joined us. We have evolved six models for tying up with companies. These include focus on: (i) leveraging unused infrastructure in public and private sector for imparting skills; (ii) setting up greenfield and brownfield centres; (iii) setting up trade specialisation labs in existing centres; (iv) donation of high-cost equipment; (v) certification of on-roll workers/contract workers through formal skill certification process; (vi) giving of CSR money to the National Skill Development Fund or NSDF. Who all are coming forward in this? Major agreements have been signed with PSUs such as CIL, NTPC, REC, PowerGrid, SAIL, RINL, AAI, NALCO, among others. But there are equally good enthusiasts in the private sector, including JSW, Uber, JCB, Schneider, Hindustan Zinc and Indo-US Aviation Cooperation Program. We are talking to other biggies as well. We expect to bring 30 leading companies on board in the next couple of months. But when we did our research, the sense we got from corporate houses is that they are putting in money under CSR, also making favourable noises. But on ground things are not happening. Where do they want to put money? The sense we get is that they are willing to put money in any initiative that the government wants to take. How are you seeing things? No, that is not the case. Industries and corporates that have understood the ecosystem are already partnering with us in a big way. Let me make it clear that we are not asking for just CSR funding - we are asking for their knowledge, know-how and support through various models I just mentioned. Contributions of over `80 crore to the NSDF, for supporting over 60,000 youth, have been received from public and private sector companies. There is special focus on utilising the technical competence of retired and current personnel as trainers and assessors. We are also focusing big time on workforce requirement in infrastructure projects. We are also creating job linkages with the private sector for hiring skilled personnel through outreach activities. Jindal Steel recently agreed to skill nearly one lakh people. Hindustan Zinc and Tata Motors have also agreed to put in efforts. JCB is giving us equipment, funded from CSR money, for training earthmover operators. Is there any mechanism through which you can understand what is happening on the ground? Certainly. What cannot be measured cannot be managed. We have put in place a strong monitoring mechanism. The ecosystem was spread widely. But now we can see everything on a single window dashboard and map the progress. We are implementing biometric attendance at all centres. We have set up a project monitoring unit at both the NSDC (National Skill Development Council) and the ministry; it takes feedback and visits sites. Moreover, we have linked reward disbursements with Aadhaar. At the NSDC, we already have a Skill Development Monitoring System to monitor the implementation of schemes and programmes. How are you planning to rework the NSDA (National Skill Development Agency) and the NSDC? No change is planned in the basic NSDC structure. We are only strengthening its role further and making it more robust and accountable. There might be some structural changes to the NSDA in light of the proposed National Skill Certification Board. Last year CAG made some scathing remarks on the way the NSDC and its relationship with private players was worked out. That is a past matter and happened prior to formation of this ministry (under UPA-II). There were some issues earlier. In the absence of strong monitoring, it was a running as a freelance operation, and a lot of misappropriation was happening. All that has been checked. We are giving a fresh blue print now. The idea was that the private sector would take the lead and put in money. There has been a gap there. Most of the investment is done by the government. In other countries, 70 per cent investment is from the private sector and 30 per cent is from the government. But we are seeing things change for the better. There is much more private sector participation now. How do you see the role of state governments? I must applaud their participation and contribution. Recently, we had first state ministers' conference where we discussed state-wise plans for the PMKVY, the National Apprenticeship Scheme, ITIs and other short-term skill development course modules. In the PMKVY, we are giving 25 per cent financial and physical targets to states. Plans have been approved, pilots have been approved, and we are ready to see the results in the coming times. How has been the experience for you in the past three years? Very nice. We have been successful in putting things in place and ensuring smooth coordination and convergence across stakeholders.